Abhi Arumbakkam and her husband got in touch with us back in May, knowing that their two young boys needed a holiday that offered more than just lying around a beach or discovering a new city. With this in mind, we went to work on putting together a package that offered a range of water-sports activities, hiking and cycling. Where is all this possible, staying at a beautiful 4* hotel with activities within easy reach? Well that's where the Italian Dolomites come in. Hugely popular in winter for ski holidays, the stunning Alpine mountain range in Northern Italy is the perfect backdrop for a multi-activity holiday in the summer. We love getting feedback on our breaks, and Abhi was kind enough to write about her trip and share some fantastic pictures chronicling their adventures. Enjoy the final instalment of Abhi's guest blog and get a taste of what's out there waiting for you! Deep waters unnerve me like nothing else does. Perhaps it's the unknown depths that hold untold mysteries or maybe it's my own shaky swimming abilities that unsettle me. 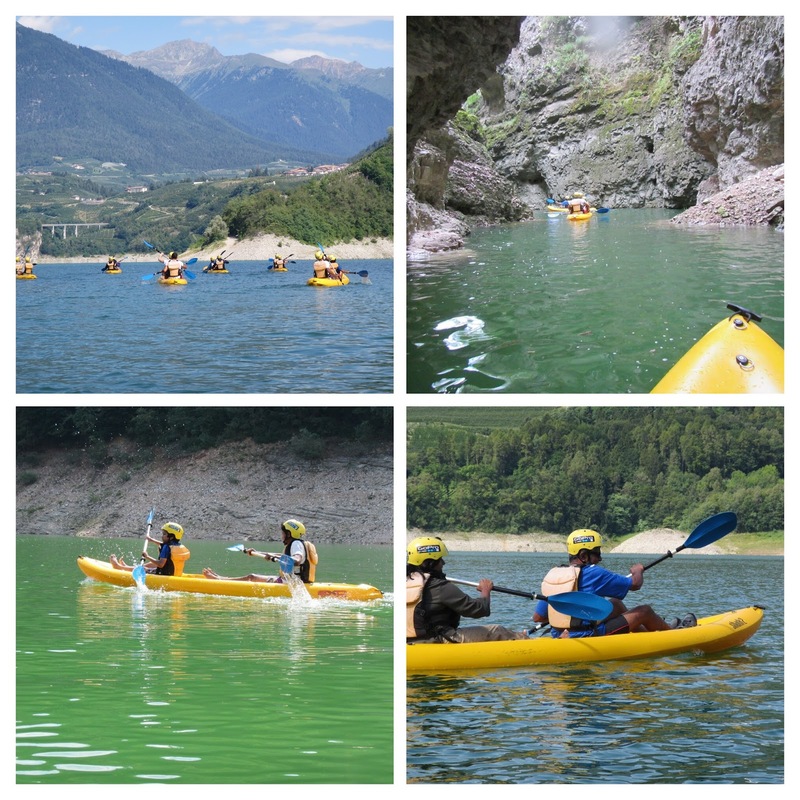 But the fabulous white-water rafting experience from a few days earlier had calmed me and I was almost excited climbing into the canoe which had been parked on the placid Lake Santa Giustina. And what a wonderfully calming experience it turned out to be. Once we slipped on our inflatable jackets and helmets, we were underway on its emerald waters fairly quickly. We paddled at an easy pace and the guides would check with us regularly to see how we were doing. Just as I was beginning to think that this was all there was to it, we arrived at cool, dark canyons. 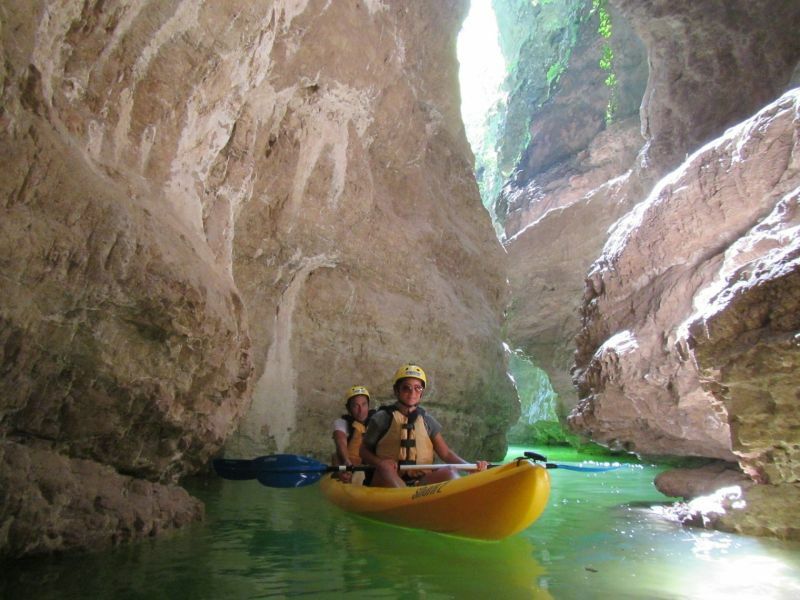 We gently guided our canoes between the narrowing walls of the canyon, pausing every now and then to marvel at the millennia of erosion that have led to their formation. The trip back was uneventful unless you count the persistent cries from my son calling out to us in to say that they were pulling over for a wee. It was a vital piece of information that I could have done without, especially as I was paddling in the middle of a glacial lake. That said, the mother in me did look back to note two familiar figures in the distance with their backs turned to us, one foot precariously holding the canoe and the other on the ground and presumably, doing their business. It was a gentle experience, in stark contrast to the earlier, more wild outing on the rafts. But it was no less stunning, no less breath taking. Read more about Abhi's travel adventures at Grand Trunk Tales. Thanks again Abhi, we look forward to finding you more great holidays in the future!